Hey, Millennials. Come on into the real estate market! We really need you to buy some homes so we can keep chugging along. Oh, wait. Prices are rising and so are interest rates, plus inventory is scary low. Hmmm. Well, come on in anyway, wontcha? It’s not easy to buy a home in a hot market where inventory remains at historic lows – and that covers a lot of areas across the country at a wide range of different price points. But it’s especially hard right now for Millennials, who aren’t exactly getting a warm welcome from the market that has been begging them to participate. But that doesn’t make buying impossible – just a bit more challenging. Get a leg up by following a few smart strategies. This is not the right time to give your brother-in-law’s cousin’s neighbor who just got his license a shot. Having a competitive edge is more important than ever, and you need a savvy, experienced, and well-connected real estate agent to help you buy a home. You may be competing against buyers who are coming in with an all-cash offer, which you’re going to have a hard time standing up to. But, there are ways you can make your offer look better. Remember that if it comes down to a multiple-offer situation for your home, sellers won’t just compare the offer prices. They’ll look at your down payment and the terms, and you need to have better terms than the next guy. You may only have 3.5% down, and that may be all you need to qualify for your FHA loan, but that doesn’t mean the seller will embrace you. If another potential buyer is insistent on a 30-day close, but you could close earlier, later, and even rent back to the seller if need be, you just might end up with the house you want. Flexibility is key to submitting a winning offer, so make sure you have a Plan B – a place to stay for a few days or longer if you’re going to be between houses, and a mover/storage option squared away. Yeah, you have your heart set on a specific neighborhood. But if it’s just not happening, consider the next neighborhood over. Experts say they have great potential upside. Waive contingencies before you submit your offer? Question: I have been renting an apartment, and my lease will expire at the end of November. I have taken a job out of this area, and expect to begin my new position on November 1 of this year. My landlord has a security deposit which is equivalent to one month’s rent. Should I pay for November since I will not be living in the apartment? The landlord will not be hurt, since she can use my security deposit for the November rent. Should I discuss the situation with my landlord? Answer: The landlord-tenant relationship should not be antagonistic. There is no reason for a landlord and a tenant to get into constant fights and arguments over every conceivable issue affecting the rental property. However, unfortunately, this is the situation in too many cases. The landlord often presents unreasonable demands, and the tenant counters with his/her own unreasonable requests. We have to start any landlord discussion with a review of the lease. In every landlord-tenant arrangement, there should be a written document, which is called a “lease.” Once it is signed by the landlord (or the agent) and the tenant, this becomes a legally binding document on all parties who signed it. Thus, it is important for tenants to thoroughly read (and understand) the lease before signing. Typically, however, it is my experience that most tenants do not bother to review the lease before it is signed. It is only when a problem arises does the lease begin to be scrutinized, and often that is too late. The security deposit is an amount of money — generally one month’s rent — which a tenant gives the landlord upon signing of the lease. This deposit — which in some jurisdictions must be kept by the landlord in an interest-bearing account — is not to be used for the last month’s rent. It is used to pay any damages which the tenant may have caused to the property during the tenancy. Landlord-tenant laws differ all over this country; some are stronger than others. In fact, the landlord-tenant laws in the District of Columbia are considered perhaps the most tenant-friendly in the United States. 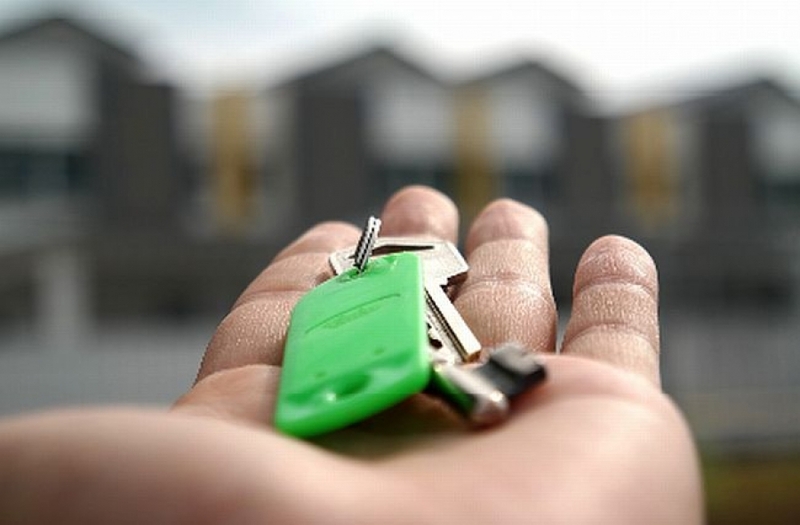 It is to be noted that this article is addressing residential tenancies; there are different procedures (and laws) impacting commercial leases. You have suggested you want your landlord to use your security deposit for the last month’s rent. I cannot recommend this under any circumstances. What will happen if the landlord finds damages in your apartment, which were caused by you — i.e., your movers put a hole in a wall or your dog ripped a screen door? Your monthly rent is $1650 and your security deposit is in the same amount. If it costs the landlord $500 to make the repairs, this leaves the landlord only $1150 to be applied to your November rent. Thus, your actions may cost the landlord to lose money. Contrary to what a lot of people believe, many landlords are not wealthy individuals, and any monetary loss they incur is significant. You probably believe your landlord will not spend the time — or the money — filing a lawsuit against you for this small amount of money. This may be true. However, the landlord has this right, and one day you may find there is a judgement against you because you failed to appear in court. More significantly, your landlord can create credit problems for you — which problems can continue to haunt you for a number of years. The landlord can report your delinquency to credit reporting companies, and any lawsuit which is filed may also be picked up by these credit bureaus. It is not a pleasant experience to explain to a banker or a department store — several years after the incident — why you failed to pay your legal rental obligations. I cannot recommend you skip your last month’s payment; it is just not worth the subsequent problems — and hassles — you may encounter. Also, assuming you have a conscience, you should recognize that you may have financially hurt another human being. However, I strongly recommend you discuss the situation immediately with your landlord. He/she may be understanding, and may even be willing to give back your security deposit if the property can be rented out immediately. The landlord-tenant relationship should be amicable. Communication between the parties is a crucial factor in determining whether the arrangement will be friendly or hostile. Lenders want to make sure the new monthly mortgage payments will be affordable. They do so by comparing gross monthly income with the new mortgage payment, including an amount for property taxes and insurance. The mortgage payment takes into consideration taxes and insurance along with an interest rate selected for the loan and the actual term of the loan. If this total monthly payment will be $2,000 and gross monthly income is $6,000, the debt ratio is then 33. $2,000 represents 33 percent of $6,000. A secondary ratio then adds other monthly credit obligations such as a car payment or student loan payments. It’s relatively easy to arrive at these numbers by looking at a borrower’s monthly pay check which shows gross monthly income. But it’s not so easy sometimes when reviewing someone that is self-employed and doesn’t get a regular pay check on the 1st and 15th. Self-employment income will vary from month to month. Someone might have a very good month and then the next month not so much. So, what does a lender do? To arrive at a gross monthly income amount for qualifying, lenders look at the last two years of tax returns, personal and business. Net business income, gross income less operating expenses, is added up over the last two years. In addition to income listed on the tax returns, lenders will also request a year-to-date profit and loss statement. This amount is added to the amounts gleaned from tax returns and averaged together to arrive at a qualifying amount. Lenders can also look at copies of bank statements which will reflect deposits resulting from business income. Lenders want to see year to year amount be relatively similar. Wild swings from one year to the next can cause problems, especially so if last year’s tax returns showed much less income than the previous year. This can alert the underwriter the business may no longer be viable and require the borrowers to explain the drop in income. Finally, loan guidelines ask the borrowers be self-employed for at least two years. 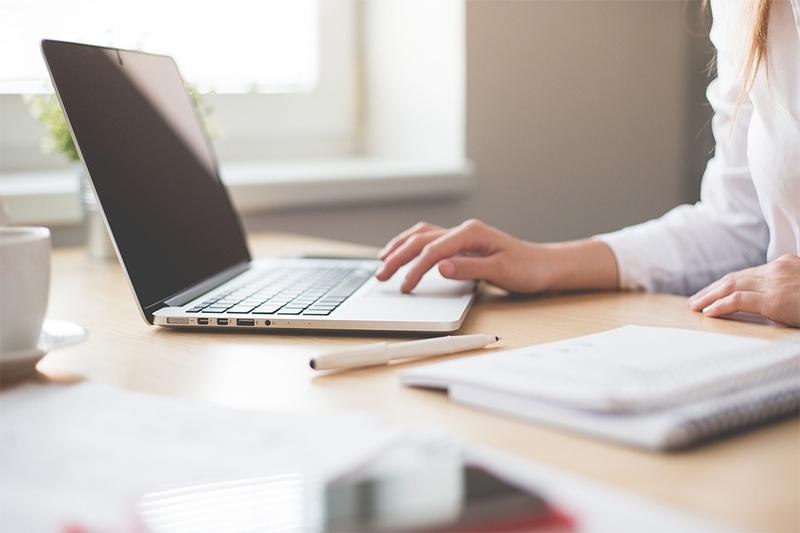 The self-employed borrower can expect to provide more paperwork to the lender compared to someone who is not self-employed and underwritten a bit differently. However, if you’re self-employed, your loan officer can provide you with a list of needed documentation upfront to make sure loan application sails through. These are exciting times. You’ve finally outgrown apartment life or living with your parents or sharing a place with waaaaayyyyy too many roommates, and you’re ready to take the leap to homeownership. Now it’s time to prepare. As you embark on this journey, beware of six important don’ts that could potentially derail your purchase. So, you’re just going to go out “looking” at houses, you say? The time when you just expect to drive around a little and maybe visit an open house or two is obviously the time when you’re going to fall in love with a house and want to make a move on it right away. If you’re not already prequalified with a lender, you may not have a chance at it. Competition is fierce across the country thanks to low inventory, and well-maintained, move-in ready homes do not sit if they’re priced right. Talk to a lender now to make sure you can qualify – and learn your max budget – even if you just think you’re casually looking (because that can change in a hurry!). As a continuation of the casually looking conversation…you want to check your credit the second you start thinking about buying a home. You never know what’s going to be on there. Even if you’ve never missed a payment and have always done a good job of managing your outstanding debt, there could be errors on your report that you’re unaware of or even something from many years ago that you didn’t realize had been reported to a credit agency. Those little boo-boos, accurate or not, could be hurting your score, and a low score could keep you from getting a mortgage at all. Give yourself time to correct errors or fix blemishes; every tick upward can help you get a better rate and make your home more affordable. The idea of putting as little down as possible on your new home is attractive, especially if you’re not a natural saver. Today, that can mean just three percent of your purchase price, depending on the loan. For FHA loans, it’s three and one-half percent. The problem with making the minimum down payment is that you then have to pay Private Mortgage Insurance (PMI). Many of us micro-focus on the down payment when getting ready to buy our first home, but there is another important expense related to the purchase: The closing costs. Closing costs encompass a wide variety of fees, some or all of which may apply to you depending on where and what you’re buying. They can include everything from the application fee and appraisal to the escrow fee to the home and pest inspection to the recording fees. You’re looking at between two and five percent of your purchase price for closing fees, which can definitely add up. Many first-time buyers fail to factor this in when getting ready to purchase, and you don’t want something that could amount to a few thousand dollars or more to come as an 11th-hour surprise. New-home communities often quote a monthly payment that looks quite affordable and that can entice buyers who don’t look more closely. That’s because the payment is based on principal and interest only (Typically, you’ll see a star next to the payment that tells you there’s a disclaimer at the bottom of the page.). If you take a look at the small print, you’ll see that there are also taxes and insurance to factor in. In some cases, there is also a homeowner’s association fee. That monthly payment may not be looking so good anymore. If you’re buying your first home and coming from an apartment or other rental property, you may not have worked things like a gardener into your monthly budget. You’ll also want to consider that if you’re going up in square footage, there could an increase in your utilities, and you may be taking on payments for things like water and trash that were covered by your rental. It’s best to have a true idea of what your monthly expenses are going to look like when buying your first home so you don’t end up in over your head. 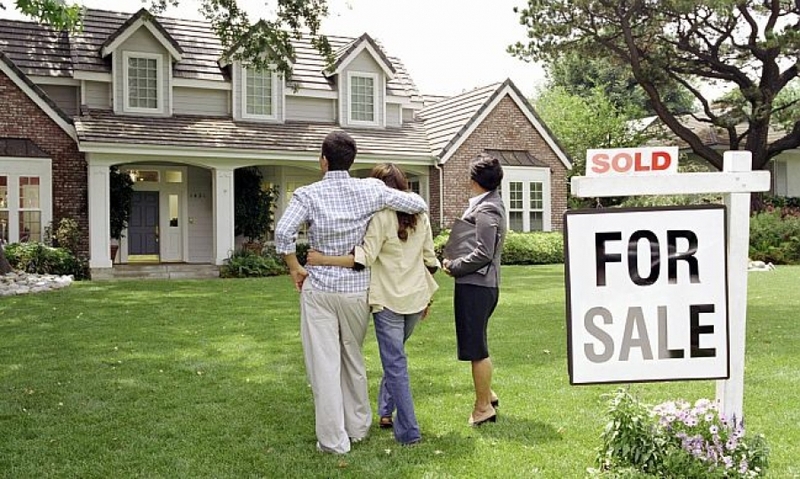 Unless you are a real estate attorney or are otherwise connected to the industry and aware of the laws, contract issues, etc., it’s best for you to have representation, regardless of what type of home you are buying. 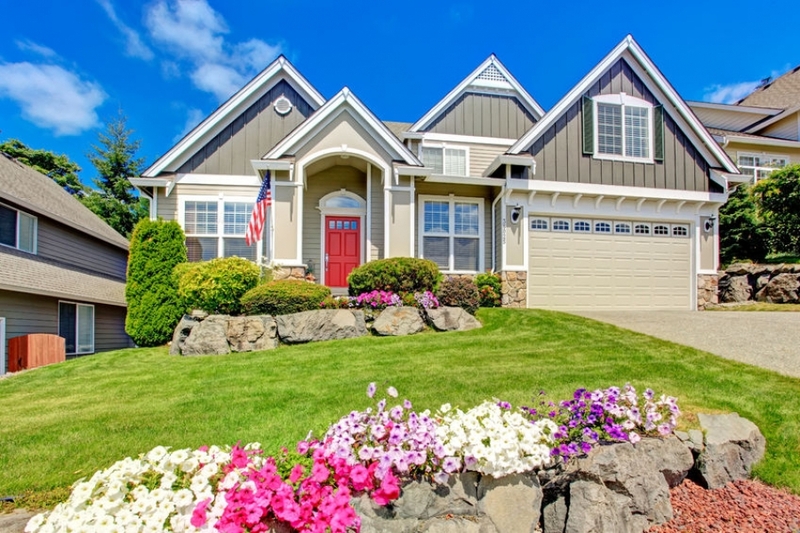 You’ve probably heard how important curb appeal is when you’re trying to sell your home. The first thing buyers look at when they pull up to your home is the big picture — the house, the yard, the trees, the flowers. It’s the impression that counts, and all it takes is one thing to ruin the effect — a cracked walkway, dead branches in the trees, leggy bushes. As you look around at all the things you need to fix or update to sell your home, it can be overwhelming. Many sellers struggle with the costs, the decisions, and the time it takes to market their homes. Since most landscaping isn’t permanent, you may think it’s not as important as other projects that need to be done, but you should strongly consider putting it in the marketing budget. You can do some of the work yourself or you can get help. But here are five jobs you can do that help you make the most of your home’s drive-up appeal. 1. Get rid of anything dead. Dead leaves, flowers, and trees do nothing for your curb appeal. Snip it, rake it and bag it. As you finish, you’ll see blank areas. Fill these in with fresh flowers, small bushes, potted plants or yard art. No Gnomes or flamingoes need apply. 2. Cut and weed the grass. If you mow your own lawn, make sure it’s freshly mowed every week. Pull or spray weeds so the texture of the grass will be more pleasing. 3. Replace or hide leggy bushes. Nothing makes a front entry look more dated than bushes with longer legs than torsos. Pull them out and replace them, or if it’s more expedient, plant boxwoods or other small bushes in front. You can also cover a lot of blank areas with mulch, wood chips or gravel. 4. Improve both hardscapes and softscapes. Decorative stone, tile, brick, concrete or wood can add a lot of appeal to the softer elements such as flowers, plants, grasses and ground cover. Landscaping doesn’t have to end at the porch. Bring color and vitality to the entry with potted plants and flowers. 5. Light the way. Landscape lighting doesn’t have to be expensive. Lanterns to line the walk, or the occasional uplight for the trees can have a glamorous effect on the exterior of your home. Lighting provides security as well as spotlights what you want to call attention to — a beautiful tree, a flower bed or an architectural element of the house. If you’re not sure where to begin, go to your local supply with a sketch or photo of your home and ask for ideas. Explain that you’re selling your home and you need help with curb appeal. You may get a lot of free advice that’s really helpful.